Despite their appeal, many of the most popular Miami Beach condos have to pay the bills and the struggles some of them have had to face have not gone unnoticed. The Gansevoort for example has seen a few problems such as lawsuits and now the equally popular Mondrian South Beach has to take care of its financials. In this case however, the news isn’t quite as concerning as that of the Gansevoort. The existing mortgage for the Mondrian South Beach has now been extended for an additional seven years until April 2017. Originally, Morgan Hotel Group (one of the Mondrian’s joint venture partners) obtained a $124 million mortgage, $70 million of which remains outstanding. 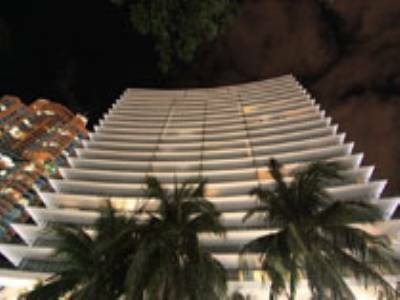 Under this mortgage, the owners are now allowed to fund a maximum of eighty percent of the purchase to whoever decides to purchase one of the Miami Beach condos within the building. 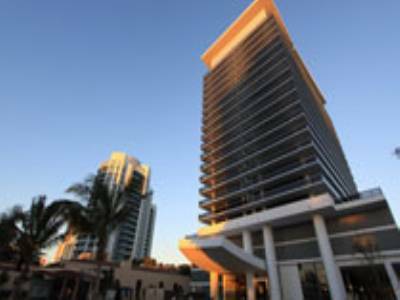 The decision to extend the mortgage for the Mondrian South Beach makes it one of the few Miami Beach condos and/or hotels where the lender actually sees a positive long term future. It may end up being one of the condo-hotels that manages to survive the shaky Miami Beach condo market as it continues the tough road to recovery. 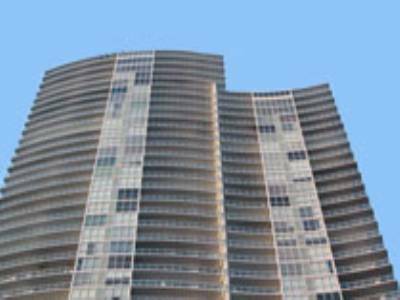 One of the biggest hurdles when it comes to buying Miami Beach condos is obtaining a loan with a major provider like Fannie Mae. Nowadays, the mortgage giant has strict lending restrictions in place that allow only deep pocketed investors to purchase condo units in bulk. Thankfully, that is no longer the case. 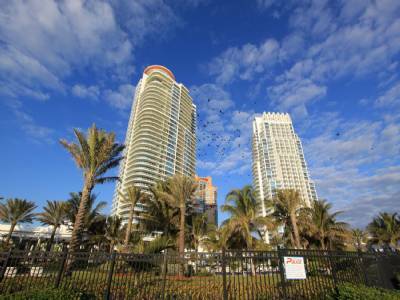 Fannie Mae and its sibling Freddie Mac have both taken steps towards encouraging sales of properties throughout the state of Florida by easing up on the restrictions once required to purchase property like Miami Beach condos. 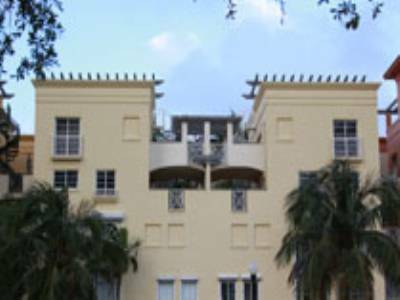 In fact, the former has already added over 30,000 units in Miami alone to its list of buildings. The latter has also committed to backing up mortgages even in buildings where occupancy is low and association fee delinquency remains high. The catch is that the seller's 's loan must already be owned or secured by Freddie Mac. Market analysts predict that such measures will improve demand for Miami Beach condos considerably as a larger pool of buyers compete for the best deals. Is this the right course of action for Fannie Mae and Freddie Mac to take? Despite the recent influx of slowly improving sales figures for property like Miami Beach condos, many have predicted an imminent wave of foreclosures that will mar whatever progress has been made. Nearly six months into 2010 however, this wave hasn’t quite hit just yet, could it be that condo fees of all things are keeping things from getting worse? Generally speaking, owners who are unable to make mortgage payments aren’t paying their condo fees either, and this goes for any market besides Miami Beach condos. Because of this, lenders are often saddled with the task of taking care of those fees when they take ownership of a unit that’s about to go into foreclosure. The thing is, many of them are trying to escape having to pay these fees and in order to do that, all they need to do is hold out until a buyer shows up who is willing to pay these outstanding fees. The length of time can be quite considerable. With banks already doing what they can to prevent their glut of Miami Beach condos foreclosure inventory from getting worse, there is a strong possibility that condo fees may be preventing things from being worse. However foreclosures can only be delayed for so long, is the “dam” about to burst? Let’s start by stating the obvious: practically every single condo in South Florida (Miami Beach condos included) have seen a significant drop in value, albeit some at a stronger degree than others. 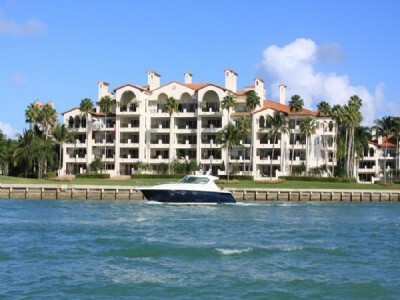 While location does factor heavily in a condo’s overall value and price, it’s actually the waterfront that seems to be making the biggest difference. Sure enough, condos that are near the waterfront have had much better luck when it comes to price declines, especially those that are within areas where overbuilding has not become a major issue. Putting aside Miami Beach condos for a bit, condo prices in Broward currently stand at $73,600 as of March of this year. That number represents more than sixty percent drop since 2006. Some sellers in high end luxury waterfront condos have had to deal with a 25 percent cut selling for $550,000, which may not be the most favorable of price points but is still fairly good considering the circumstances. Have you noticed any similar trend when it comes to Miami Beach condos? There’s no denying that buildings overlooking Biscayne Bay have huge appeal, but does that translate into less of a price drop? Those of you who have been waiting out until the Miami Beach real estate market hits rock bottom may want to start exploring your options. 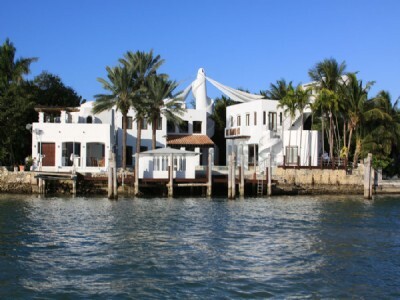 According to real estate professionals around the state, the Florida real estate market has probably reached its bottom. The keyword here is probably so you may want to take this proclamation with a grain of salt. So now that all of Florida has reached its lowest point, is it finally time to get off the fence and spur those relatively slow sales for Miami Beach condos? Well, that’s still up for debate. Even though prices may have gotten as low as they’re going to, these same real estate professionals do caution that the market situation won’t be improving anytime soon. In other words, take the same precautions you normally would. The reasons behind the survey results are due to a flood of money from domestic and foreign investors seeking worthwhile deals and to a lesser degree, the recent signs of life insurance companies dipping their toes into commercial property investing once again. Are these professionals on to something? Is it time to start snapping up Miami Beach condos before prices start to increase eventually? What are your thoughts? Florida’s cash for clunker appliance rebate program proved to be extremely popular, so popular that the money set aside for the program ran out in practically hours, barring many from taking advantage of it. If you don’t already have an application there are few chances of getting a new one but if you’re among the many people waiting for these new appliances to be delivered to your Miami Beach condos then you’re in luck. 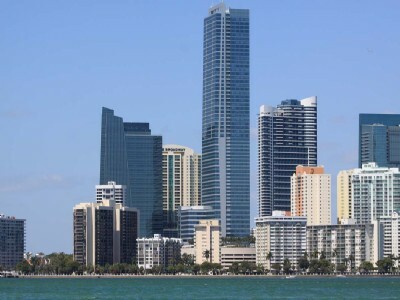 The original May 10 deadline has now been extended until May 31, allowing homeowners just over twenty days for their energy efficient product to arrive at their Miami Beach condos doorstep and thus receive the rebate. Despite the extended deadline, all applications still need to be in the mail by May 10. However, as long as it’s been made clear that the appliance has yet to arrive those applications can be sent without the required product serial numbers. This news should provide some relief if you’re expecting those appliances at your Miami Beach condos any day now, assuming you’re even allowed to swap out appliances by your association. Just remember that once they do arrive, you still need to call or email your serial number in order to receive that money back.